Auditions for Mulan Jr. Start Tomorrow! 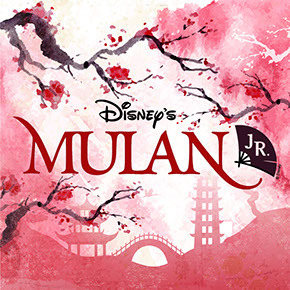 2018 marks the 20th Anniversary of Disney’s Oscar-nominated film Mulan, and to celebrate, this fall the Believe in Books Youth Theater will be holding open auditions for its Youth Production of Disney’s Mulan JR. This show is open to performers between the ages of 7-18, and director Nate Sawyer once again joined Gino on the Magic Morning Show to tell us all about it! Listen below! Disney’s Mulan JR. is a heartwarming celebration of culture, honor and the fighting spirit. With hit songs and a story packed with action, humor and heart, Disney’s Mulan JR. brings ancient China to life with a modern sensibility. If you have a headshot & resume, feel free to bring one, but it’s not required. Once arrived, auditioners will learn a short dance combination then will audition in smaller groups. Following you will sing a song of your choosing acapella (no sheet music or CD’s needed).